Carpet Cleaning New York offers a professional carpet cleaning service for everything from simple carpet stains to pet odor removal. Your carpet is an expensive and attractive floor covering that needs special attention from Carpet Cleaning New York to keep it looking great. We have years of experience to help you with any carpet related issues and can usually take care of all your concerns in one simple visit. Carpet Cleaning New York have a professional team of technicians whom specialize in different types of services for home and office cleaning, always using the most suitable technique from steam cleaning to dry compound. Even though you may take very good care of your carpet and vacuum it on a regular basis, it will still need a professional cleaning every so often to keep it looking its best. 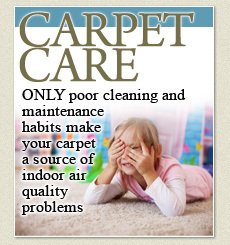 Carpet manufacturers recommend a professional steam cleaning at least once a year for moderate floor traffic. 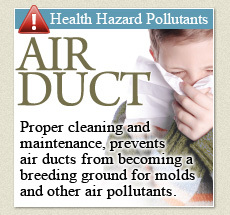 If you have pets, or a large family you might want to have a carpet steam cleaning done more often. The reason that steam cleaning a carpet is important is that the combination of the heat of the steam and the power of the vacuuming action can remove deep-set dirt from a carpet and help you avoid damage to the fibers. The temperature of the steam cleaning is high enough that it breaks down the bond of adhesion for the dirt clinging to the carpet fibers. This is then pulled out of the carpet by a powerful vacuum, leaving your carpet clean down deep into the fibers. So to keep your carpets looking their best, vacuum regularly and schedule a steam cleaning at least once a year with a home carpet cleaning service from Carpet Cleaning New York. In addition to carpet cleaning we at Carpet Cleaning New York offer a whole host of other residential cleaning services including upholstery cleaning and furniture cleaning to keep your chairs and sofa looking new. You may also have specialty carpets that require attention and Carpet Cleaning New York offers both area rug cleaning as well as oriental carpet cleaning for any sized rug in your home. 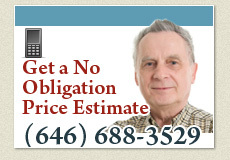 Most of these additional services can be done at the same time as a carpet steam cleaning appointment. So if you're carpets are looking a little worn and need a good cleaning, give Carpet Cleaning New York a call at 646-688-3529. 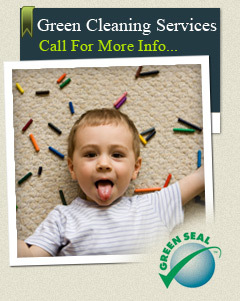 Carpet-Cleaning-New-York.Com can have your carpets looking new in no time at all.